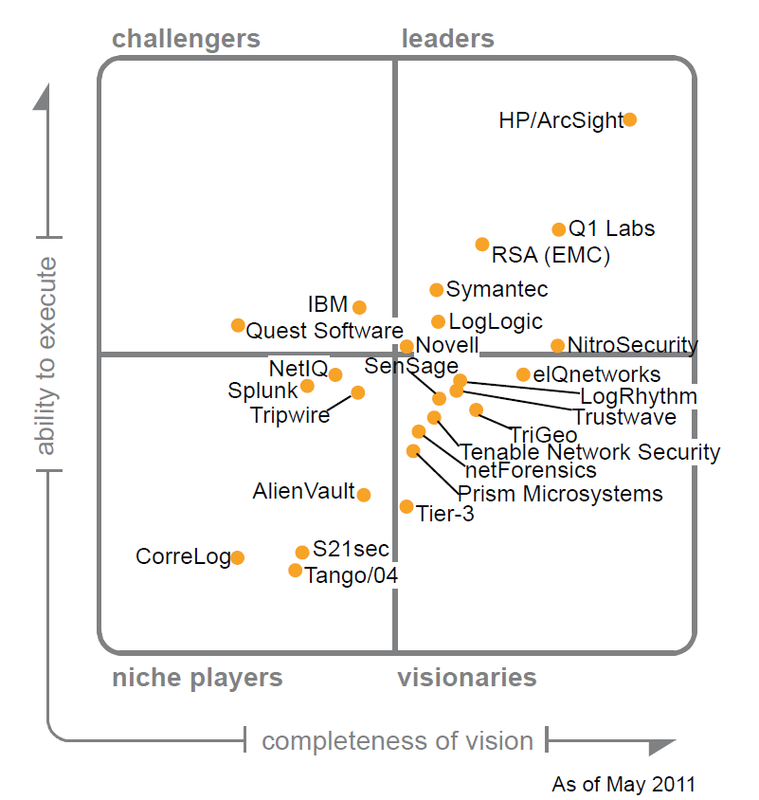 Companies placed by Gartner in the Leaders Quadrant have been the most successful in building an installed base and establishing a revenue stream from the SIEM market. 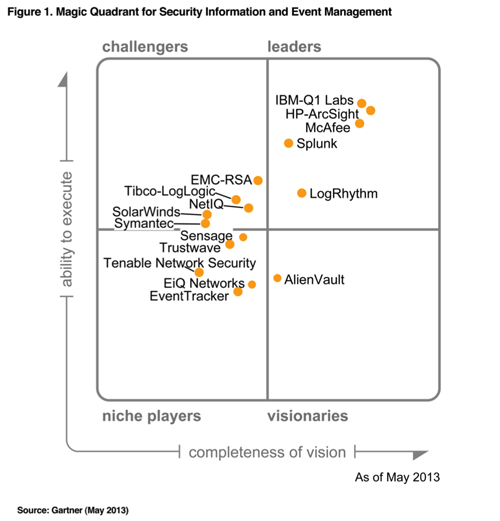 Leaders also typically have a high share of the market and high revenue growth. They’ve also demonstrated superior vision and execution for emerging and anticipated requirements of the market. What’s more, they’ve garnered positive customer feedback for their SIEM products, as well as service and support of those products. 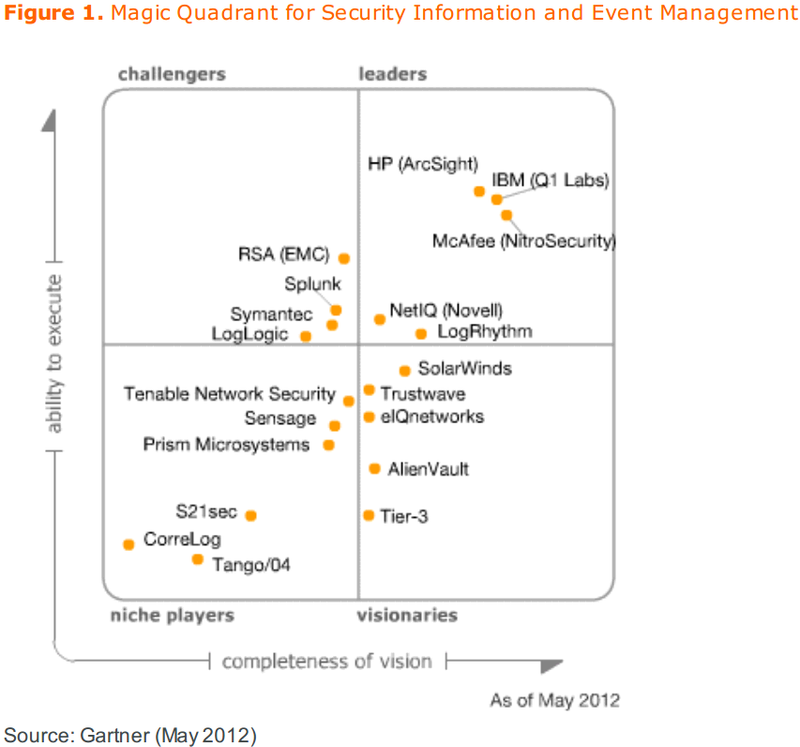 Gartner placed five companies in the leaders quadrant: IBM, Splunk, LogRhythm, HPE, Intel Security. 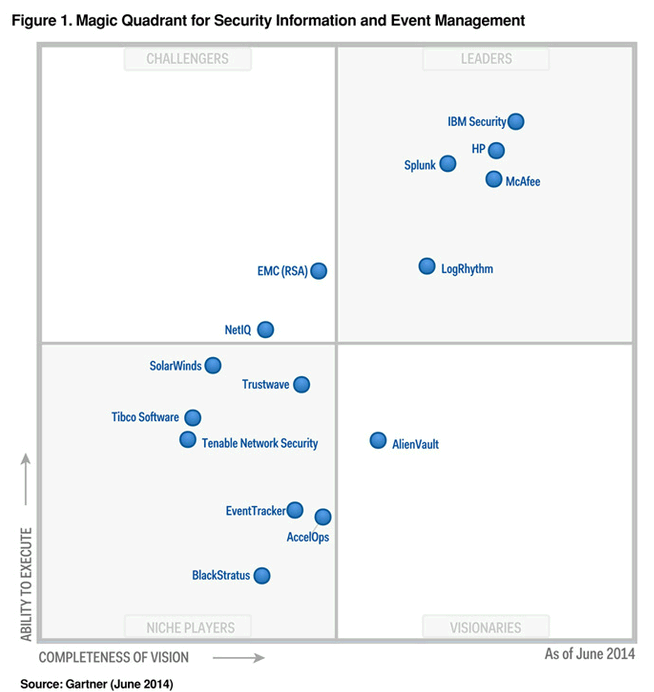 From Gartner Report “Magic Quadrant for Security Information and Event Management” Releasd on July 20, 2015. 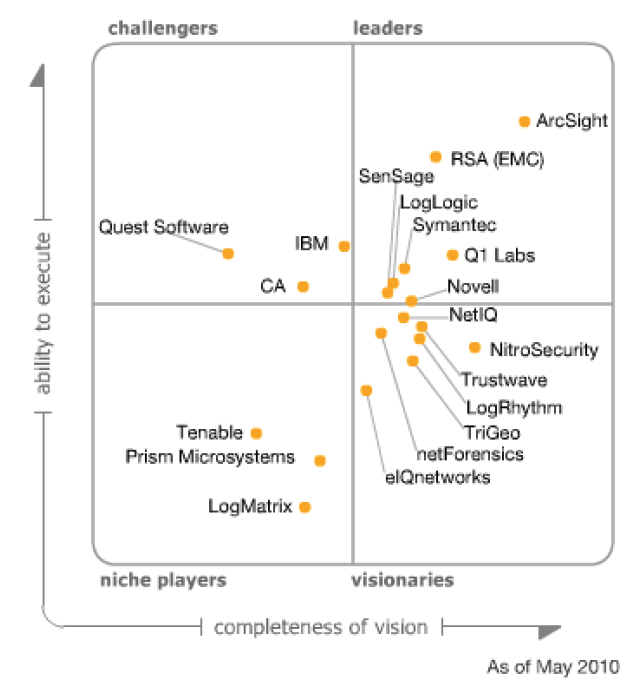 IBM acquired Q1 Labs, Oct 4 2011, $???? McAfee acquired NitroSecurity, Dec 1, 2011 $??? ?